Having recently bought a Piaggio Vespa for getting ourselves around town, where it's quicker than driving by car, we are now finding ourselves having weekly adventures. It's great fun and feels like we have the freedom to go anywhere, anytime, much like cycling but with far less effort! On my push bike, I have an iPhone mount for tracking journeys using Trailguru. It's a brilliant iPhone app and records the route using GPS positions and places these on a map for reviewing after the cycle ride. It provides data on top speed, average speed and far more usefully, total distance travelled. I bought a mount for the Vespa too, this one is an enclosed mount to keep the iPhone dry in wet weather. Not only is it really easy to attach to the handlebars, but it is very quick to place the iPhone inside, keeping it safe and snug. With the lid closed, the iPhone is still completely useable, with all the buttons available as well as the headphone jack. Although the screen has a protective cover, the iPhone is still touch sensitive. Perfect really. I bought my iPhone 4 case from Mobile Fun. I'm now running a SatNav app called NAVV for UK+Ireland. It's a really cool app and has all the features of a fully fledged SatNav box. The software includes the complete maps for UK and Ireland, so it doesn't demand a connection to the Internet to download each new area, unlike Google Maps. NAVV does the usual warnings of travelling faster than the speed limit, as it knows the stretches of road you are on, as well as those roads undergoing roadworks where there are additional speed restrictions. The driver is also made aware of traffic camera alerts. I have considered other SatNav apps for the iPhone, but these are either horrendously expensive, £30+, feature-less or just sluggish which isn't ideal. I'd definitely recommend NAVV to any iPhone user. A feature I'd love to see in the app is a way in which journeys are recorded so they can be reviewed or overlaid onto a Google Map, much like Trailguru. Here are some screenshots from the NAVV software. I've recently got quite excited by photographs that have been geotagged with location information. This is an example of EXIF file header which can be found in files. I have highlighted the GPS location information which is stored by the Apple iPhone 3G. ExifTool is useful tool. It is essentially a file editor that enables this information to be modified. I've been nothing short of impressed by the little Apple Mac Mini that I've used to host my websites over the past two years. In that time, it's been 100% reliable and apart from the occasional software update, has not needed a restart. The Mac Mini, Barney, has been co-located at a hosting company in Brighton called Freedom255, who do an awesome job ensuring optimal uptime for all their servers. Barney's spec is reasonably modest, a 1.42GHz G4 processor, 1Gb memory and an 80Gb hard disk. It ran Mac OS X Server 10.4, running Apache 1.3, MySQL databases and SMTP mail services. It ran numerous websites, from the local Scout troop, Orion Online, some pupil blog sites and my own blog site, Jonathan's Blog. Over time, as the number of web visitors mounted, the Mac Mini had reached its operating capacity and processor occupancy regularly reached 100%, falling to around 70 or 80% in quieter moments. It wasn't until Barney was upgraded to a dual processor G5 Xserve and looking at the webserver stats pages, that it became obvious that the Mac Mini wasn't meeting the demand placed upon it. I had anticipated that the standard 2.5" laptop hard disk would be the first to fail. Laptop hard disks, although built to be robust, aren't built to the same specification as hard disks in servers. No such problems arose. I'm nothing short of impressed by what the Mac Mini has achieved and it's now clear why the popularity of placing these machines in colocation facilities has grown. They make excellent personal servers, which are very capable of serving 150,000 pages per day. Now in retirement, the Mac Mini enjoys a quieter life as a development machine, probably still having fond memories of its earlier life as a proper workhorse server. If you're looking for a server host company, or colocation facility, I'd strongly recommend Freedom255. I carry a little folded up piece of paper in my wallet of the London Underground tube map to help me find my way around the Tube network. It's also helpful to have a map to refer to when there are delays and cancellations on the tube network, and that's more usual than not - or maybe it just seems that way. I found an underground map for the Apple iPhone, which has been specifically designed for the iPhone's screen size. A single jpg image doesn't work because when the image is optimised for the iPhone, the size and quality of the image is reduced, meaning station names can't be read. Download the underground tube network files from this site. Import the archive contents into iPhoto. Set your iPhone to sync with that album via iTunes. Navigate to your Photos on the iPhone and the album name you created. Simply scroll between each section of the tube network map. I've also installed a WebApp which shows the current status of the Underground Network. Most iPhone owners probably just chucked the handset's box in the bin seconds after leaving the shop. Not designer Scot Hampton - instead, he turned Apple's packaging into a 35mm film camera. erm, not me - I love the way Apple package their products, so I tend to keep the boxes declaring them just too beautiful to throw away. In fact their boxes are just as pretty as the kit inside them! If you think this is just a mock up image, read more to find out that Scott has actually put the components of a film camera inside. Incredible. I've been running a mobile blog site for a long time now (since 2006), and although my main blog has been rather quiet over the past few weeks, I've found time to reflect on some recent activities using my new iPhone. 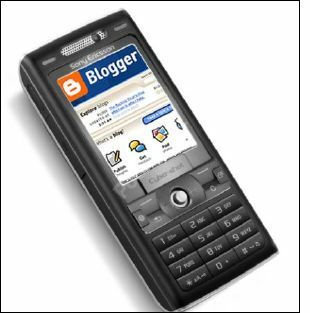 In the past, I have used the Sony Ericsson software on the handset to send photos captured by the mobile phone's camera straight to a Blogger.com site. Clearly this software wasn't available on the iPhone, but as with all sites that have a programmable API, there are plenty of other routes for creating blogs, many of them not new of course. Email to webpage technology allows web content to be authored within an email client and then published by sending an email which is read by the server and published. It's a really neat solution and although it has been around for at least the last 6 years it hasn't, for me, had a use until now. The iPhone has a great web browser, and handles forms really well, so it's great for posting to any website. However, it won't allow you to upload photos because of the restrictions to being able to access the file system (with the exception of hacked iPhones.) The iPhone also has a great email client, which overcomes the problem of uploading images to a blog site. Using Blogger.com's email to blog option, I can take pictures on the iPhone, choose the Email Photo option and send it to a private address that only I know about, but one which Blogger.com receives and then publishes as a blog entry. A perfect solution, and quick too. Here are some of my most recent entries, all taken with an iPhone and blogged straight to Blogger.com using Mail. Of course, it's not just Blogger.com that enables this technology as Flickr does this too, see my iPhone pictures on Flickr, in fact, you can see everyone elses iPhone pictures on Flickr. Flickr will also publish your photos and accompanying annotation to most popular blog sites, or to any blog that supports xmlrpc, such as WordPress, Drupal, Movable Type. For those of you who have a TypePad blog, the developers of TypePad have already created an iPhone interface.